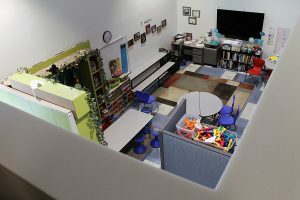 It’s halfway through the school year, and for the Park City Board of Education, that means it’s time for a little housekeeping. On Tuesday, the board convened for their annual mid-year retreat. According to Board President Kim Carson, the purpose of the retreat was to review, update and assess the progress on goals for the 2008-09 school year (which were agreed upon last June). The meeting also served as an orientation for the two new board members, Maurice (Moe) Hickey and Anne Bransford. For the first half of the full-day retreat, the board met with the "cabinet," which consists of the human resources director, curriculum director, student services director, director of support services and business administrator from the district. The cabinet presented a budget update and reviewed capital projects such as the expansion of the district office, ongoing maintenance in the schools, and long-range planning for a potential Career and Technology Education center. The group also recapped the "What Counts" Community Forum, which took place in the fall in 2007 and gave community members an opportunity to share their main concerns and goals for the district. The forum helped determine board action items for the year, including reducing the district’s carbon footprint, reviewing the success of the Career and Technology Education (C.T.E.) program at the high school, and examining the curriculum for kindergarten through twelfth grade. Throughout the afternoon, Carson said that the board discussed the employee salary negotiations process (specifically, who would represent the board) and the strategic planning process (focusing on updating the vision and mission statement). They also went over committee assignments for members and discussed increasing school visits. A vital part of the retreat was a question-and-answer period for new members. "It was a day well spent a good starting point," says new member Moe Hickey. He says that he and Bransford have a lot of groundwork to catch up on, and the retreat provided them with time to get their footing. 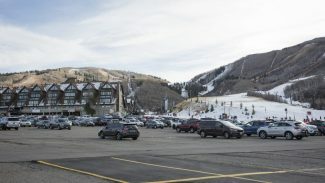 Hickey signed up for several committees, including the audit committee and revenue advisory committee for the board, and the policy committee, which works in conjunction with the Park City Education Foundation. 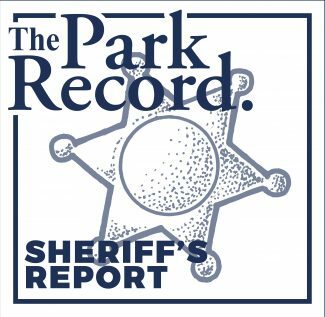 Perhaps the most pressing item on the retreat agenda was a preview of the legislative session that will convene Jan. 26. Like many other programs, the state budget for education is on the chopping block this year. The legislature is reportedly considering a budget that is approximately $1 billion less than last year’s approved budget. Vice-president Lisa Kirchenheiter will serve as a legislative liaison during the session. She was recently appointed to the Utah School Boards Association’s Joint Legislative Committee, which Carson describes as "quite an honor." Each Friday during the legislative session, Kirchenheiter will meet with members from the Utah School Boards Association and related groups at the Capitol to discuss new legislation and determine which position to take. She will be spending time with Rep. Christine Johnson (D-Salt Lake City), who represents a portion of the Snyderville Basin, Rep. Mel Brown (R-Coalville) and Sen. Kevin Van Tassel (R-Vernal). "It’s a good way to reinforce the link between the Legislature and the schools," Kirchenheiter says. She will also spend time on the floor, listening to debates concerning bills that are pertinent to the education sector. Kirchenheiter says that school districts around the state have been advised to prepare for a 15 percent budget cut and to formulate a plan based on this presumption. In addition to budget discussions, she will be closely watching the School Equalization Bill, sponsored by Rep. Merlynn Newbold (R-South Jordan). The controversial measure aims to equalize school funding around the state by redistributing property tax revenues. 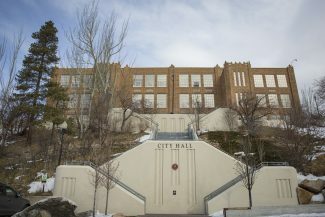 According to Kirchenheiter, if the bill is passed, the Park City School District stands to lose close to $8 million in funding. The Board of Education will meet in regular session on Tuesday, Jan. 20 at 4 p.m. at the School District Office, 2700 Kearns Blvd. Policies to be discussed include board member compensation, student transportation for school or district sponsored activities, graduation requirements and entrance age. The board will also vote on maternity and paternity leave for district employees and the acceptable use policy concerning the use electronic media in school environments. The public is welcome to attend.